On our SEARCH page, select the Coach AND further narrow down your search results by location, distance, incline, elevation, and other features! NOTE: Coach Videos will only work on iFit equipped machines made in approx the last 2 years. Older iFit Machines can use the Map Search as well as the newly added iFit Videos. We're adding iFit Coach Videos daily (it's a big job for 1 person!) so stay tuned for more greatness coming soon! On the SEARCH page, you can filter and narrow down from thousands of videos! The more specific you are, the less results you will see. The less fields you enter information into, the broader your results will be. From the results, click on a pinpoint location and it will display the map name. Click on the map name to take you to the entry or click on the star to favorite it and look at it or do it later. Go to iFit.com and login to your account. Return to iRunMaps.com and find the workout you want to add to your iFit machine schedule. Click on the name of the video route OR View Details to take you to the details page. 5. When the new window pops up, click "Schedule Workout" and it will add to your iFit Schedule. 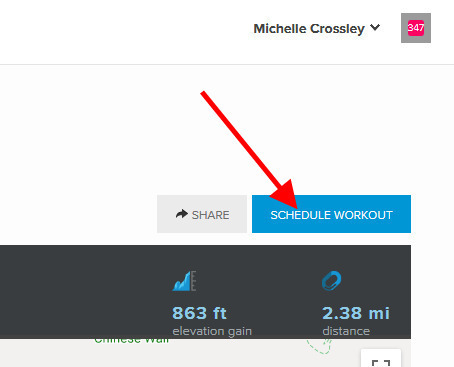 Now go to your machine, click the "CALENDER" button and you'll see the workout you added. Calling all iRunMaps users and enthusiasts out there... We'd love to hear how much you enjoy using iRunMaps to help your workouts! 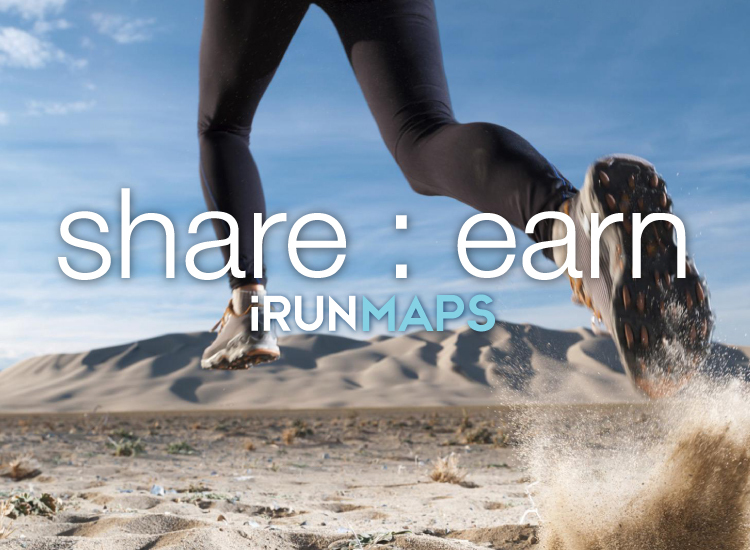 Share, refer and earn months onto your iRunMaps Annual Membership just for sharing the love! Review a workout at iRunMaps. Simply login, go to the workout you've completed, scroll down and post your review. Validation. Open worldwide to anyone having an exsting Annual Membership at iRunMaps. Void where prohibited. Dates of Promotion. Beginning January 4, 2019 and ending at a TBD date, iRunMaps reserves the right to extend the contest promotion dates and will update this page accordingly. Release. This promotional event is in no way sponsored, endorsed, or administered by, or associated with Facebook or iFit. Participants hereby release Sponsor, Facebook and their employees, agents, officers, directors, and other affiliated parties from any and all liability associated with the participation in this promotional event. This promotional event is subject to all applicable federal, state, and local rules and regulations governing such contests, and it is conducted and administered in the State of Utah. Download your FREE "How to use iFit" eBook! We've researched and compiled the most commonly asked questions from iFit users, like us, and put them into this FREE eBook! The eBook is chock full of valuable information that covers getting your machine and iFit setup as well as more advanced topics! DISCLAIMER: This FREE eBook from iRunMaps is simply a helpful resource to help you get up and running quicker with your iFit® equipped machine. iRunMaps is not affiliated with iFit® in any way. iFit® is a registered Trademark of ICON Health & Fitness. Along with your FREE eBook, we'll also let you know what's going on with iRunMaps - generally ONLY 3-4 emails A YEAR! Need instructions on something else using iFit? Drop us a message and we'll consider doing a video or written instructions on how to do it. We understand. It's no fun working out on iFit without street view. But how do you know if they area you're mapping has street view or not. There are several ways for you to check, but we'll just be showing you how to check through iFit. Switch the "Street View Availability" button to ON. All the blue lines are where Google has captured Street View. Now zoom in or out and draw along the blue lines shown on the map. These blue lines are where Google has captured street view. We are a community based website that is run by an iFit user like you! We've loved creating unique and off-the-beaten-path maps for since 2011. Years ago, we saw the need for an quick and easy way to locate maps based on distance, location and incline. Our site is a search engine format that allows you to select multiple parameters and search for the exact map you want to workout to. You can even search for the exact distance! These maps work with all equipment that is iFit® enabled. Bikes, treadmills, incline trainers, rowers, bikes, Tour de France and ellipticals can all use these maps. Besides our dynamic search feature, we also have a ton of other features! You MUST be a paid member of www.ifit.com and have iFit compatible equipment in order to have the ability to use these maps.